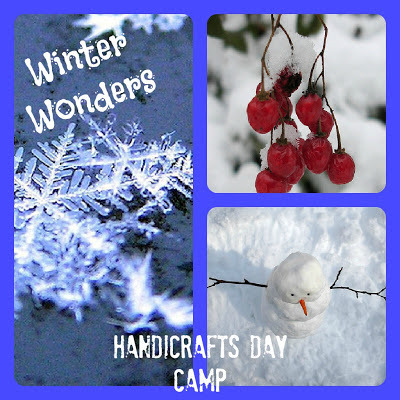 Well, we officially have one great Winter Wonders Handicraft Camp completed and a success. At least I am dubbing it so, seeing as the kids that attended left proudly with gifts to bestow and big smiles on their faces! I'll post some pictures on Instagram tomorrow, so stop by to see the fun we had learning and crafting. You leave them in our capable hands from 10 am - 4 pm during our full day Saturday Day Camp. PERFECT to go get some shopping done, or go to the spa, or both! DECEMBER 22ND *3 Spots Left* Season of Wonder & Giving! ALL SUPPLIES ARE PROVIDED AS PART OF THIS WORKSHOP! TO REGISTER You must email Joyful Socks (Heather Mac) with the name, age, grade and school of your child. You will receive an emailed invoice within 24 hours to confirm your registration. Hoping your winter is full of wonders and joy! HERE ARE SOME MORE JOYFUL RESOURCES FOR YOU! Visit my new Etsy Shop: HERITAGE FOLK ART to get unique handmade gifts! Custom orders are welcome. Tired of all this holiday baking? Check out the Heritage Folk Art & Baking price listtoday! HARMONY FINE ARTS: The best study for art and music appreciation! Hard working moms with little time left will love this curriculum plan. His Ways Are Wonderful & I Don't Have To Ask Why!